There are more than 500 million people living currently in the European Union. How can they influence the decisions on the European level which are related to their lives? Certainly, there are elections to the European Parliament every four years. But then what? What can people do to have a say with regards to the numerous policies and decisions made by the EU in between the elections? One potential way to do this in a democratic way is to organise referenda. There are, however, some limitations with regards to this idea. The cost of organising just one EU-wide referendum is considerable; it could amount to between €800 million to €1 billion, based on previous referenda like the Brexit referendum which cost €158,800,000 alone. That is for just one referendum. But then, what is the credibility of decisions made in this way? It seems that the example of the UK’s referendum on Brexit explains quite a lot here. And even if balanced and fair educational resources would be provided to all voters (which can be done), how many referenda per year could be organized given their costs? The most promising solution for the EU is a new form of democracy which is gaining interest around the world. It is based on taking a deep dive to learn about the issue at hand, on considering a variety of options and solutions presented by experts and discussing it with fellow citizens to digest the issue thoroughly. It’s called a deliberative democracy. One of its basic principles is to invite a randomly selected group of citizens that broadly reflects the demographic composition of a city, country or international community to find the best solutions for the common good. The idea is to create a city or a country in miniature. This method is called a citizens’ assembly. They have been successfully organized on local and national level in countries like Ireland, Australia, Canada and more recently in Poland. Is it possible to organize a citizens’ assembly on an EU level? The answer is yes, although there are some issues to consider. The basic question is whether to invite just one representative group of citizens to meet in a place somewhere in Europe or would it be better to start on a national level and then meet together as a whole group? There is a considerable advantage in organising a citizens’ assembly as a single group because of the low costs and ease in terms of management. This group could be 100 people, as it was last year during the citizens’ panel organized by the European Commission as a part of the consultations on the future of the Europe, or more like 200. This model does not solve, however, the fundamental problem with the European Union; that it is perceived by many as being “over there in Brussels”, where decisions are made by “who knows who” and as a result we just wake up in the morning to learn from the news that the term “vegan burger” may no longer be allowed. The other option for a European citizen’s assembly would be to start on the national level, which aims to bring the European debate closer to home. The discussion would take place in the national languages and most probably would have a better coverage in the national media than the one taking place in Brussels or Strasbourg. However, since the topics would be related to the whole European Union, the discussion cannot be focused soley on the national level alone. From the very start, the opinions and perspectives of all member states should be translated into all languages and distributed among the members of all national citizens’ assemblies. Eventually, they should also meet together as a whole group to hear directly from each other. There are many topics that could be presented to the European citizens’ assembly to solve; from aspects of agricultural policy to climate change policies, or even budget spending priorities. The citizens of European Union should have a right to call for the citizens’ assembly on topic of their choice after gathering a given number of signatures. This mechanism already exists as a part of European Citizens’ Initiative. The key difference between these processes is that the decisions of the citizens’ assemblies should be legally binding. These should not be merely public consultations. These should be final decisions, just as is the case for referenda or elections. There are many topics that could be presented to the European citizens’ assembly to solve; from aspects of agricultural policy to climate change policies, or even budget spending priorities. Basically, the citizens of the EU should have a right to overturn any decision of the European Commission or the European Parliament in this way. They should also be able to initiate a debate on any topic they wish, provided it is related to policies on the European level. This could potentially create more trust in the way the European Union functions. The voice of the people would not just be heard - it would make a difference. Undoubtedly, this means a huge change. It requires a change of The Treaty on European Union and this implies the agreement of all member states. It is a big thing. However, if assemblies aren’t adopted, what are the other options? Continuing the way decisions are made now? Is that really something that we want? We could perhaps reform the electoral system? Sure, why not. That would be an improvement of some kind. But is it enough to meet the challenges that the European Union is currently facing? From the experiences with citizens’ assemblies around the world, we can learn that ordinary people can provide realistic solutions with regards to the issues as complex and challenging as climate change, flood protection, abortion, improving air quality and many others. These decisions are made in a transparent way after a learning phase and consultations with experts and stakeholders. And since the citizens’ assembly is a group of people who are a microcosm of our communities - of people that are independent in their judgments - they can be trusted. It is democracy at its best. 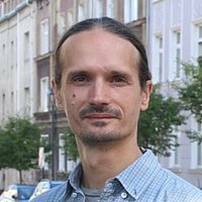 Dr Marcin Gerwin is a specialist in sustainable development and deliberative democracy and a coordinator of citizens’ assemblies.